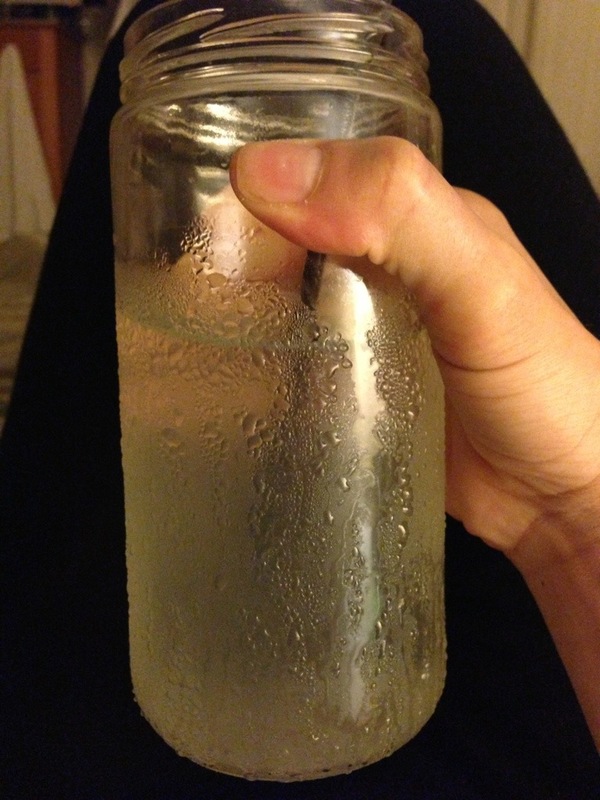 My tall glass of fresh lemon water before I hit the sack will assist my body in detoxification. Lemon water is also a good source of vitamin C and antioxidants. It also contains vitamins (such as vitamin B, riboflavin), minerals (such as calcium, magnesium, phosphorus), proteins and carbohydrates. Lemons are highly acidic but they contain the good acids that your body needs. Your body has a fine PH balance that must be maintained and lemon water helps it. A pH less than 7 is said to be acidic. The ideal pH is slightly alkaline between 7.30 to 7.45. You can test your pH levels regularly by using a piece of litmus paper in your saliva or urine first thing in the morning before eating or drinking anything. If your body is not alkaline, as it should be, then you could have a series of health problems from heartburn and acid reflux that many suffer with on a daily basis; digestive issues, and irregularity. An acidic body can wreak havoc on your allergies, especially if you are an asthmatic, or suffer from frequent headaches. It also prevents constipation. Hey, thanks for commenting! The next morning my stomach felt so empty. It was a great feeling. I just started having lemon water before going to bed and I definitely see and feel different in the am. Also, starting the day off with hot water is just as beneficial. Remember, we’re starting off with an empty stomach. In the night when our bodies are at rest, it goes in repair mode. It detoxifies, break down foods, and repair cells. Now the first thing you put in your stomach in the mornings is very important. 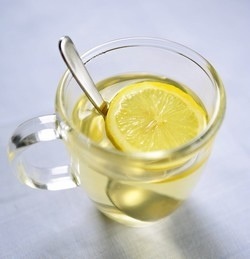 Hot water with or without lemons is the best way to kick off your digestive system. It helps to flush out impurities. Look it up! Yes, I’m a big believer when it comes to lemon water in the am and pm. I just started the pm. In the mornings it is especially important because it’s the first thing that goes into our bodies. Warm/hot water in general with or without lemons is super important for flushing out our kidneys, liver, and it helps with constipation. Thank you for commenting! I’m crossing mines too! You should be eating a high fiber diet. Every meal you consume need to include fiber. I was surprised how addictive lemon water has turned out to be. I never knew I like hot water with a few lemon wedges squeezed in. I’m up to 8-10 glasses per day, and feel great! Just search about lemon detox and find your blog, how helpful it is : ) . I definitely will try it. But there are 2 things I feel unsure about your routine: drink lemon water “at night”: lemon contains much vitamin C, vitamin C can make you in dynamic mode (have you ever feel hard to sleep after drinking it?) and one more is can it cause acnes? I have heard about detox function of lemon, can it cause acnes if you drink it regularly? Drinking lemon water before going to bed doesn’t affect my sleep. I might get up once to use the bathroom but other than that, I’m good for the night. Acne, no! Acne is caused by inflammation so if a person consumes processed foods, sugary beverages, sweets, junk food, and starchy foods (which our body breaks down into sugar again); these will cause acne. Now, a person doesn’t need to consume all these foods to get acne breakouts, it could be a combination. Thank you for posting this! Lemon water is also great for keeping cool in summer. In winter I make it into lemon and ginger or cinnamon herb tea. Dumb question, but you’re saying that if a person’s body has more acidic properties than alkaline, it’s good to drink lemon water? Lemon water in the am and pm is extremely important to drink. There are endless benefits to drinking lemon water and one of them is weight lost. However, diet plays a huge part when trying to lose weight. I agree! Especially, for the first thing in the morning, it helps to flush all the toxins out. just begun takin lemon juice and i’ve felt the benefits too! I suffered constipation for 1/2 my life and warm lemon water at bedtime really WORKS. NO need to buy EXPENSIVE laxatives that are very BAD for the body, do it NATURALLY with lemons. Aids in digestion at night and Wa laa in the morning you are good as New. Hi Carol! I’m happy to hear your success story. There are so many other benefits to drinking warm lemon water. I feel there’s not enough that’s done to spread the information out more widespread. Thank you for visiting and leaving a comment. Hello! Lemons are packed with vitamins, enzymes, and minerals. Its best to drink it in warm water. Lemons in hot water actually damages the enzymes. Room temp or just warm water is best. I drink cold lemon water sometimes also. Plain water is very bland to me now. I love the lemony zest flavor in my water. Keep it up because the lemon juice helps you digest your food too, relieving symptoms of heartburn, belching, and bloating. 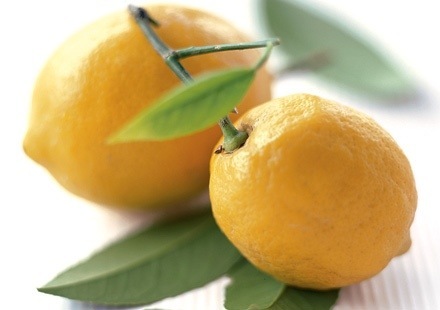 The lemon juice helps to stimulate your liver for digestion. Cutting out sugars, junk foods, procesed, white breads and pastas will help also. A diet rich in fruits, vegetables, whole grains and fresh juices will help to get you on the right track. Have you ever tried juicing? It’s phenominal and super healthy. I have to recommend Dr. Colin Campbell’s book, WHOLE Rethinking the Science of Nutrition for you to read. It’s an awesome easy read about the fundamentals of food, nutrition and health. Thanks! It works, Warm lemon water after EVERY meal but especially after dinner and before bedtime. I suffered constipation for years and this works GREAT. Hello! I was wondering if lemon juice from concentrate bottle works just as good as fresh lemon?? I am going to drink 1 cup of warm water with 4 tablespoon of lemon juice… is that enough? Hello Ccarroll! Thank you for visiting my blog and leaving me this comment. Lemons are packed with amazing antioxidants, minerals and vitamin C as you know. I believe fresh is always best. I wouldn’t recommend using concentrated lemon juice. Only because they also include added preservatives. Plus, they don’t have the same nutritional value in them. Fresh lemons are the way to go. Just 1/2 a lemon will do for 1 cup of warm water. It’s whatever you prefer. I could use one lemon in 1 cup of water. Be sure that the water isn’t too hot because you want to preserve those vitamins and minerals. You’re welcome! My new thing at this moment is warm ginger & lemon water. I’m obsessed! Hi Lorna! Awesome question! Lemons flushes out toxins and is extremely beneficial for the body. And, ginger helps nausea, upset stomachs, and it has anti-inflammatory benefits. I just started the half lemon with warm water but would love to add the ginger to it. How much do you add? Do you grate it, or chop it into the water? Hi Sandy! I’m happy you’ve started drinking your warm lemon water. When I use ginger, it’s about the length of my pointer finger. I peel it and grater about a tablespoon full. I just use my hand to squeeze the juices out in a mug, glass or whatever. Add a half of squeeze lemon and enjoy. I’ve had an issue with diarrhea for a week now and upper belly feeling, will drinking warm lemon water help stop birth? Hi Cindy! Sounds like a stomach virus…the lemon water will help alleviate the diarrhea and other gastrointestinal disorders. My daughter (4) just got over a stomach virus. She had the same. The lemon water helped her by keeping her hydrated and lemon water will help control unhealthy bacterias. I also gave her chewable probiotics. You might want to look into it. I like Jarrows brand. Didn’t mean birth, meant to write BOTH! Lemon in warm water before bed helps me conceive? That’s up to you….I drink about 5-7 glass of different beverages throughout the day. One or two cups is sufficient, and it is solely up to you. I mainly took warm lemon water for weight loss while I was a student. Then I noticed it kind of kept me really fresh during the day so I tried to replace lemon water for coffee. I could never drink coffee in the pm without having sleeping disorders. So lemon water helped me loads in this area. Every time I had to study late, I took lemon water and it helped me concentrate without keeping me up later. I’ve lost weight and my skin looked younger. I’ve lost touch with it after school for a while but I’m definitely doing this again. That’s awesome news! It’s great when you stick to a regimen and see results. Sometimes people don’t embrace new things long enough to reap the benefits. I love lemon water– one full squeezed lemon a day. Sometimes in the am and sometimes in the evening.. It’s great to know that it can help combat all those nasty toxins. It’s almost like you can feel it inside you sometimes working its magic. If lemons are acidic, how does lemon juice increase the body’s alkalinity as claimed here and elsewhere. Not doubting but would like to know how that works. Lemons are indeed acidic. Alkaline foods like lemons, limes and oranges stabilizes the body’s pH. These acidic fruits leaves alkalizing minerals in your body. Our body has a pH level btw 7.35-7.45 but if you eat acid-forming foods like meat and dairy, our body’s turn them into acid causing inflammation. I hope this was helpful. I tried warm lemon juice in the morning and its really great I actually feel the benefit just after drinking it. Can i ask how many minutes drink the lemon juice before going to bed in night time? hey am currently fasting during day time but I want to start water + lemon in pm time but what am wondering would it make me hungry or thirsty in the morning because I fast from 2:40 am to 9:25 pm which is pretty long thus I don’t want to die from thirst so does it make our body dehydrated and hungry or not? Thanks for commenting and stopping by my blog. It’s important to consult your doctors before you fast. But to answer your question, we need water to live, so plan to drink enough water during your fast. The amount of water you should consume really depends on your activity level, body size, and environment. You may find that during a fast you need less water than when you are not fasting. This is partly due to decreases in your food intake and activity levels. However, you still need to drink water. Adding lemons is beneficial because your getting vitamin C and other amazing benefits from the lemon juice. Good luck! I have Ibs and I have bloated stomach, its like tyre or pooch shape and I really really want to get rid of it, if you can give me any advice I would really appreciate it. I hv started drinking lemon in normal water after I do jogging for half an hour in the night. Then I use to hv some fruits as dinner after sometimes. I hv cut down my meal to lunch only. Will this be helping me to loose weight? ?? Is OK for me to add honey in my lemon water? Will it have the same effect? OK to drink before bedtime? Hi Dana! I would recommend skipping the honey. Only because during the day your body will have already accumulated enough sugar from your diet. Try to do this regimen free of all sweeteners. It’s truly a cheap fix for so many issues. I recommend it to everyone. can you use store bought lemon juice? It’s not natural. Its better to use the real lemon and added bonus for organic. hi I am thabisile from witbank,im struggling with weight since ive given birth so will warm lemon water helps with curving my apetite. Lemon water will aid in digestion….drinking green tea is known for shedding belly fat. If you want to lose weight you need to cut fat put your diet. Fat mainly from animals. Switching to a plant based whole food diet will dramatically shift your weight. Go visit this website for amazing plant based recipes and articles. CAN I USE LIME INSTEAD? Yes! Lemon or lime. Both will produce the same effects. Hi Karen, i have been try lemon vinegar 50ml with warm water 400ml before bed for two nights, but this 2 days i have isomnia, is this will affected isomnia? I can’t say…but if it’s something you just started and that’s the reaction maybe it is. Try doing that combo in the am. Great posts, thanks. Yes, lemon water is fab for detoxing and improving digestion indeed. I am more motivated to have more of it at night time in place of heavier albeit healthy snacks. Thanks for reading, and please let me know if you see any differences. Is it good if i add coffee to the mixture and drink before bed? also, how about in the morning or with little amount of honey? would it be good for weight loss? Thank you. Hi, love your comments and tips. i have been drinking lemon water for a while now knowing the health benefits. i just learnt that it is also very good to drink warm lemon water before going to bed. it has helped my body system a lot. i will try adding ginger to it. ve’ never tried that before though my hubby recommended it. Thanks. At night and first thing in the morning supports digestion enormously. Coffee can come later at anytime. how many cups of the drink can one take at night. Just one cup is sufficient. I’m 69 years old and suffer constipation. Saw in Asia recommendation of warm water and lemon before bed. Unbelievable and so helpful after all these years of suffering! Just did not want to begin taking any laxatives wanting to just help the body help itself. It works and so healthy for you. I’m glad it’s helping you. Constipation is caused by poor diet. Eating more fruits, vegetables and fibrous foods will loosen your bowels. Don’t forget hydration. Drinking plenty of water throughout the day is necessary to move the food along. Can you drink a table spoon of Apple cider vinegar with the lemon water. I have started taking g the lemon water now I was told about taking the Apple cider vinegar. Apple Cider Vinegar is very healthy to incorporate into your diet. I would suggest for you to drink it in the mornings with room temperature water just 1 table spoon is enough. ACV has tremendous benefits for your gut health and regulating weight. You can add fresh lemons to your water throughout the day.